I had hit a wall. I came rolling out of the past year of my life in a huge flurry of ideas, motivation and drive. And I came to a screeching halt, or so it felt to me. After a year of reconnecting with my home country of Canada, filled with captivating study of holistic nutrition, the soul supporting effect of being surrounded by my family, a regression to the past while living in my childhood bedroom and of course cooking, trying new recipes and sharing with those I love. As the story of my life seems to go, I have of course, said goodbye to all of this for a while and launched myself back out into the big, beautiful world. And then you land, and things don’t immediately play out the way you have been fantasizing they will. You have to learn to be patient. My new home is Stockholm, Sweden. 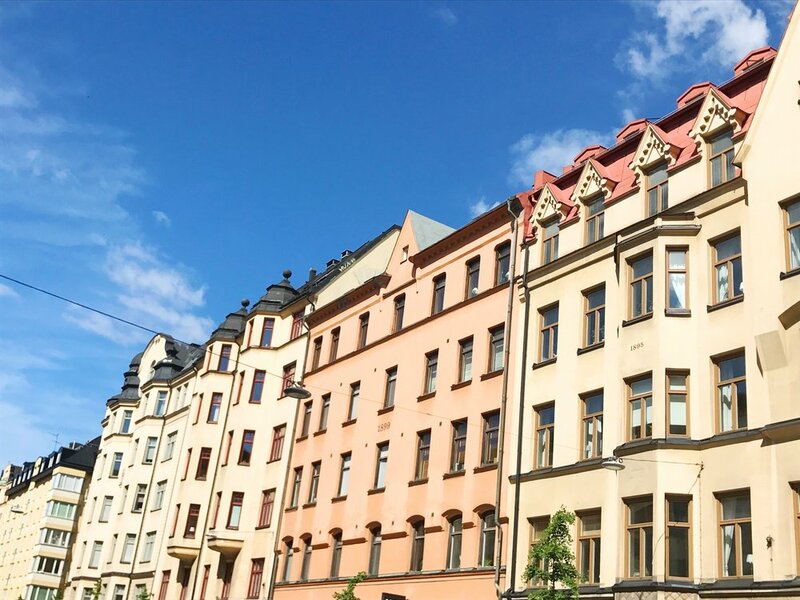 The very hipster, trendy neighbourhood of Södermalm to be exact. And it is fantastic, everything is just cool and inspired. Our flat is everything I’ve dreamed I would someday live in. It is shockingly tiny, it has a little balcony full of fresh herbs and strawberry plants which looks down onto a little cobblestone street, the interior just feels so European. There is a pub across the street and it is a stone’s throw from the high street full of artsy shops and leisurely afternoon cafes. My yoga classes, which are an experience in the themselves, are only 2 blocks away. Three grocery stores are just a skip and a hop further. And life just keeps swirling around me as I try to grab a hold of something so that I can feel like I belong here. That there is something I actually do here. I don't want to be a passenger. Sometimes in life we’re the driver and at others times, the passenger. I suppose this is also how any good road trip works, sometimes you do need to just sit back, roll down the window, turn up the music and take in the view. But then, you need to drive. And right now in my life, I want to drive. I don’t know all the answers yet. But for now, I write myself a daily list to help me keep making steps forward. Some days the list is so basic it’s laughable, only it’s not. Find a part-time job, learn some Swedish and make some foodie friends. All the things we take for granted when we live in our home bubble. But I just keep trying to take one more step. And at the end of the day I cook dinner and then I feel a little bit at home. I imagine, I create and we enjoy. So for now, I grab onto my kitchen. It is literally so small that it feels like it is wrapping its arms around me, so I guess it is grabbing onto me as well. And everything keeps swirling and I keep cooking. Tomorrow we’ll do it all again. This soup just feels like home to me. It is slightly adapted from Joyous Health. 1. Preheat oven to 200 C | 400 F. Drizzle a little coconut oil, salt and pepper over the butternut squash flesh and place it cut side down in a baking dish. Bake for around 40 minutes until you can easily scoop it out with a spoon and cut into large chunks. 2. Pour coconut oil into a large soup pot on medium heat. Add in the leeks and sauté for about 5 minutes. Add in the turmeric and ginger, sauté for another 5 minutes until the leeks are very soft. Add in the chopped squash and stir to combine everything. Make sure squash is very soft, if need be add a little water and sauté everything a little longer. 3. Place sautéed veggies and coconut milk into a blender, or combine in the pot if using a hand blender. Blend until soup is soft orange and creamy. If soup is too thick, add a little water until it gets to the consistency you prefer. Add salt and pepper to taste. 4. Halve the avocado and thinly slice. Spread a quarter on each piece of toast. Top with fresh mint leaves, salt and pepper. 5. Once in servings bowls, drizzle the soup with olive oil, a sprinkle of salt & pepper and garnish with fresh mint leaves. Serves with avocado toast on the side.